The MoU is seen as a marker for a growing relationship between the two nations, with Xi heralding their “deep friendship” following a meeting with Sergio Mattarella . The news of this latest football venture was broken Friday by the Financial Times who saw a copy of a draft agreement between Serie A executives and China Media Group, the nation’s primary state broadcaster. The deal would see cultural ties between the countries grow yet stronger. According to the draft agreement, Italy’s football federation would look to host a game a season in China within the next three years, provided they have an “adequate budget” to do so. The plans could also see Italy and China’s national teams play an exhibition match in the other’s country. 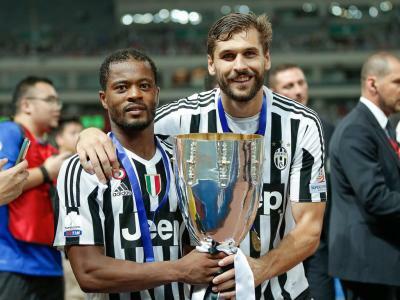 There is already a high demand for Serie A football in China, and Italy’s Supercoppa final has been held in China on four previous occasions as the Italian football federation seeks to expand its reach and fan base. The plans, however, are still far from a reality as they could still be blocked by football authorities in either countries as well as top Serie A teams themselves. Spain earlier this year had to postpone a La Liga game scheduled to be played in the US after uproar amongst clubs and fans alike.